As a longtime ski industry employee, and the current Director of Base Operations at Breckenridge Ski Resort, I’m very familiar with the challenges facing our community around housing. The Summit Daily News recently reported that the Summit Combined Housing Authority was unable to hire a new director because of a lack of housing opportunities, so we can all see the need for professional housing is real. I’ve been following this project with interest and am happy to see that the developer, Gorman & Co, have addressed many of the issues raised at previous meetings, from improved traffic and transit plans, to providing the infrastructure for a child care facility to developing pedestrian pathways, and believe that the plan reflects accommodation for the concerns of the local community. I want to voice my support for the Wintergreen project that will be in front of the county, again, next week. A project that meets the needs for the entire county will be a benefit to all of the board’s constituents, while the proposed priority leasing program will ensure that Keystone area employees get to fill those beds first. Vail Resorts is trying to fulfill its obligations ahead of schedule in a way that benefits both the Keystone area as well as the broader Summit County community. For a board that is tasked with representing the entire county, this project should be a no-brainer. I’m writing today to thank the Board of County Commissioners for their continued work on what we all know is the biggest issue facing our county: affordable housing. As a ski area employee, I see how the housing crisis affects our employees — each year, more and more of our staff find themselves living either in the woods or out of their vehicles. Obviously, this is not an ideal living situation for anyone, and it impacts the ski area’s ability to retain solid employees. As a former town council member and Snake River Planning Commissioner, I am intimately familiar with the need for affordable housing projects in the Snake River Basin. I have been a part of many conversations regarding these projects, and I know first-hand how difficult it can be to make these developments work for all parties. I am encouraged by the collaboration between Vail Resorts and the county on the Wintergreen Project. As proposed, this project would bring hundreds of new workforce beds to the Snake, which would go a long ways in addressing the housing crisis in our drainage. 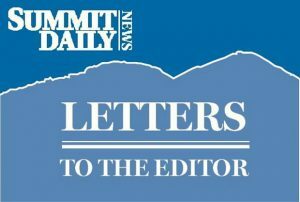 Recent reporting in the Summit Daily suggests that some lingering issues are being worked through, and I encourage the commissioners to embrace the solutions that come out of this process at the finish line. The housing issue is one that requires creative solutions, and I thank both you and Vail Resorts for working diligently through this process. I’m hoping that all parties can work through any outstanding questions and ultimately approve this much-needed project. Thank you for your hard work on this issue … it will be great to see these additional beds filled by long-term contributors to our community.